As night follows the day. As promised, Texas is suing the U.S. Environmental Protection Agency over President Obama’s plan to combat climate change, Attorney General Ken Paxton announced Friday, just after the new regulation had been finalized. The state is suing as part of a bipartisan coalition of 24 states — including Missouri and Kentucky, which are led by Democrats — that will jointly request a stay on the plan Friday afternoon. The regulation, known as the Clean Power Plan, requires states to cut carbon emissions by shifting from coal power to natural gas and renewables over the next 15 years. The coalition will argue that the EPA “cannot force the states to regulate where the EPA doesn’t have authority to regulate itself,” Morrisey explained. It filed a petition for review of the regulation Friday morning with the U.S. Court of Appeals for the District of Columbia. See here for the background, and here for the AG’s complaint. 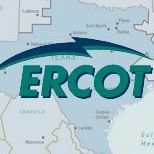 ERCOT has actually confirmed that Texas is well-positioned to comply with the Clean Power Plan, but what fun would that be? The ritual must be observed, like the playing of the National Anthem before a sporting event. Round and round we go, and when the Supreme Court ultimately settles it, nobody knows. Low and stable energy prices are good for everyone, business and individual alike. Wholesale putting people out of jobs, in contrast, is not good for everyone. It’s not like all the people currently working at the coal plants and coal mines are suddenly going to find jobs in the solar or wind industry. As long as natural gas remains inexpensive, power generators are going to gravitate to that source, anyway, without a stick from government. Of course, in order to keep those prices low, we have to allow companies to keep drilling for it, without harassing them to death. The fact that half of the states are suing tells us that maybe there is something to this, beyond partisan bickering. Just silly business. You want a clean Earth, empty of Superfund sites, potable water to drink, clean air to breath ? Then you pay the price that comes with bringing that to your table.